Leave for Phong Nha village after lunch to go to core zone at early afternoon, visitors will see Botanical Garden and Waterfall. Botanical garden was built in order to keep endemic and race plants which distributed in Phong Nha - Ke Bang National Park. Road is very easy access by going on the Road 20 connecting Ho Chi Minh trail in the West. Then start challenge yourself by trekking to E cave. Enjoyng swimming at swimming hole at En cave. The post PHONG NHA TREKKING TOUR TO EN CAVE appeared first on Vietnam Tours, Indochina Tours to Cambodia, Laos, Myanmar, Thailand. 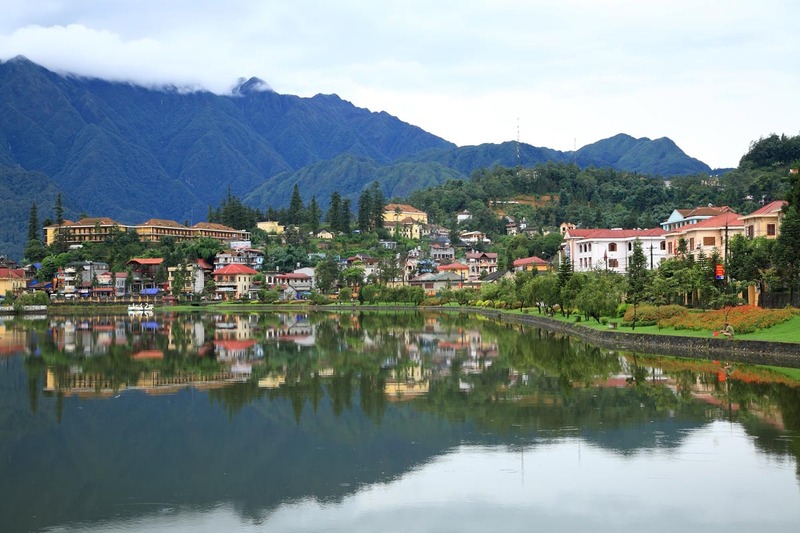 On this trip you have an opportunity to explore one of the most beautiful parts in Sapa area, which is under protection of Hoang Lien National Park. The trip also takes you to one of the most remote area where you can meet very friendly locals. The night you spend in Red Dao family. The trip also offers you opportunity to enjoy wonderful scenery, which is still well protected. The post BEST SAPA TOUR OF HIKING AND HOMESTAY appeared first on Vietnam Tours, Indochina Tours to Cambodia, Laos, Myanmar, Thailand. The post EASY VIETNAM NORTHEAST ADVENTURE TOUR appeared first on Vietnam Tours, Indochina Tours to Cambodia, Laos, Myanmar, Thailand. The post AMAZING VIETNAM NORTHWEST ADVENTURE TOUR appeared first on Vietnam Tours, Indochina Tours to Cambodia, Laos, Myanmar, Thailand. The post ESSENTIAL NORTHEAST VIETNAM TREKKING TOUR appeared first on Vietnam Tours, Indochina Tours to Cambodia, Laos, Myanmar, Thailand. Ba Be Lake locates in Ba Be National Park Center with likely special configuration contracted in the middle and swollen out on the two ends, surrounded by cliffs with very original and attractive forms and shapes. This tour also offers a day trek to the villages of Dzao and H’mong people and another full day kayaking to discover the beauty of the lake. The post BA BE TREKKING AND HOMESTAY TOUR appeared first on Vietnam Tours, Indochina Tours to Cambodia, Laos, Myanmar, Thailand. This trip to the northwest highlands of Mai Chau offers a balance of culture and adventure, set amongst some of northern Vietnam's most stunning scenery. We spend 3 nights in ethnic minority villages, and trek for four days through villages in the Mai Chau area and overnight in Thai and Hmong villages where we have the opportunity to observe the lives of the minority peoples. From the mountainous region of Mai Chau, we travel back to the capital, Hanoi . The post MAI CHAU TREKKING TOUR IN FOCUS appeared first on Vietnam Tours, Indochina Tours to Cambodia, Laos, Myanmar, Thailand. Travelling on 4 WD car you explore in depth the unequalled northern scenery of the north and see plenty of hill tribe groups living in remote mountainous regions of Muang Te and Sin Ho. This adventurous trip is specially designed for visitors who want to venture into the off beaten track areas from north west to north east of Vietnam and learn the old age culture of mountaineers. The conditions are strenuous but the unique scenery and the rarely seen tribal people are all worthwhile. 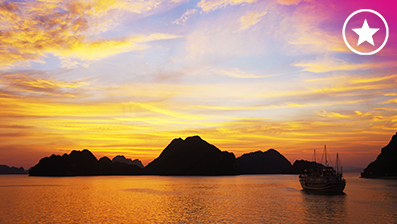 The cruise in Halong Bay gives you a relaxing time. The post GRAND NORTHERN VIETNAM ADVENTURE AND TREKKING TOUR appeared first on Vietnam Tours, Indochina Tours to Cambodia, Laos, Myanmar, Thailand. The post SHORT HANOI – BA BE ADVENTURE TREKKING TOUR appeared first on Vietnam Tours, Indochina Tours to Cambodia, Laos, Myanmar, Thailand. The post A GLANCE OF BA BE NATIONAL PARK HOMESTAY TOUR appeared first on Vietnam Tours, Indochina Tours to Cambodia, Laos, Myanmar, Thailand. The post Adventure Northeast Vietnam Tour 9 Days appeared first on Awesome Tours Deals in 2017 & 2018.